I've always loved the idea of felt tip liners. I only really started wearing eyeliner as a part of my daily routine about 6 months ago, so I'm still in the 'experimenting' stage - nowhere near an eyeliner expert! 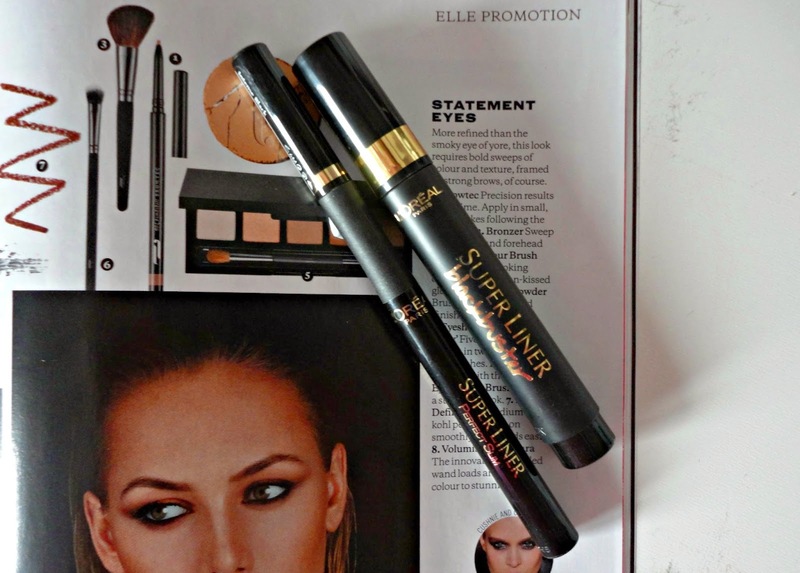 But, I do have two of L'Oreal's offerings, after seeing Chloe Morello (AKA the queen of eyeliner!) using them in her YouTube videos. I bought the Blackbuster first, which is a chunky felt tip liner, seen as the easiest way to get into eyeliner. And I do really like it, as it's super easy to use, has a lovely black line (as you can see from the swatches above) and stays put all day. 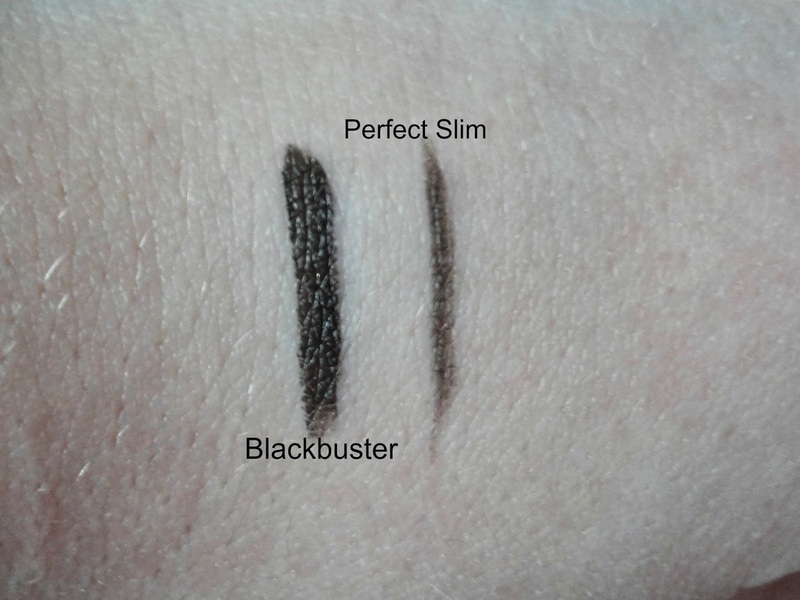 However, the Perfect Slim liner is the better of the two for getting the perfect flick. The thinner tip means you can get a thin, neat line much easier than you can with the Blackbuster. But, as you can see from the swatches, the black is much less intense than the Blackbuster. L'Oreal: make a mix of these two and it'd be perfect! Overall, I have to say I do prefer the Blackbuster, as I don't like big flicks, and this makes it easy to do a quick line and wing it out slightly. I find that when you do the wing with the Blackbuster, using the very tip with a light hand is the best way to get a good result. However, if I want a more dramatic flick, using the Perfect Slim then going over it with a matte black eyeshadow (I use Urban Decay's 'Blackout' from the Naked 2) gives a nice effect. Have you ever tried either of these? Which do you prefer?